Here's the best and brightest for your weekend in and around D.C.: The Renwick has reopened with a mezmerizing exhibit, it might be nice enough to hang out on roofs, Awesome Con has begun and more. Local artist Nancy Bratton's photographs are on display in the community center below The Line Hotel in Adams Morgan. Bratton will host a reception with jazz on Saturday, but you can see the exhibit Tuesday to Saturday from 12 p.m. to 8 p.m. The first Sunday of every month, you can visit this museum for free. Exhibit "Women House" explores domesticity while an exhibit on Hung Liu's work connects you with China's past. Friday, Saturday and Sunday starting at 8 a.m.
D.C.'s famed comic book convention has landed! Covering four floors at the Convention Center, you'll find more celebrities, food, comics, art and cosplayers than you could possibly absorb. Whether you're a tabletop gaming aficionado, Star Wars mega-fan, Pocket Mortys addict or want to see what Netflix and the CIA are up to, there's something for any fandom. Three day passes start at $80, but one-day tickets are available. Harambee Books & Artworks hosts more than 40 authors at this book festival which puts the spotlight on African-American literature. Huge highlight: You can catch Chimamanda Ngozi Adichie, who wrote "Americanah" and other acclaimed books, one month before she's interviewed by Hillary Clinton. It's free and open to the public. Bring your own, make or buy a kite to fly with dozens of others in one of the key Cherry Blossom Festival events. Get active while appreciating the blossoms at The Wharf. Single kayaks are $35 and double kayaks are $70. 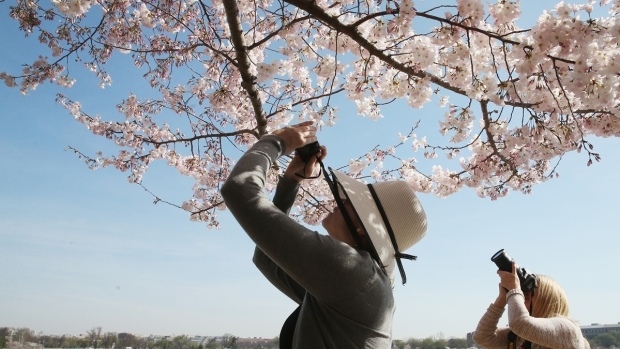 Bonus: Think you know the cherry blossoms? Take our quiz to find out. This free dance party features DJs, happy hour until 9 p.m. and a rooftop (if you're over the age of 21). Pick one of two dozen restaurants offering a special wine deal: flights of three wines for $15 and five wines for $25. This weekend is your last chance to try the deal. The Final Four games will be playing, but the headline is two hours of free wings and whiskey from 3 p.m. to 5 p.m. You just need to RSVP in advance. There's not a better deal this side of the Atlantic. Or Pacific. Reserve a table at Equinox (near Farragut Square) for a $55 per-person Passover Seder on Friday, or check out Centrolina, BLT Steak, Summer House Santa Monica, Mon Ami Gabi, Dino's Grotto, Joe's Seafood Primesteak & Stone Crab or Kapnos Kouzina. Sculptures, dioramas and more art inspired by the sweetest Easter candy will be on display in Westminster. Proceeds benefit the Carroll Arts Center. Meet the Easter Bunny and hunt for eggs at this kid-centered event. John Legend, Sara Bareilles and Alice Cooper teamed up with NBC to bring the legendary musical to TV screens across America.